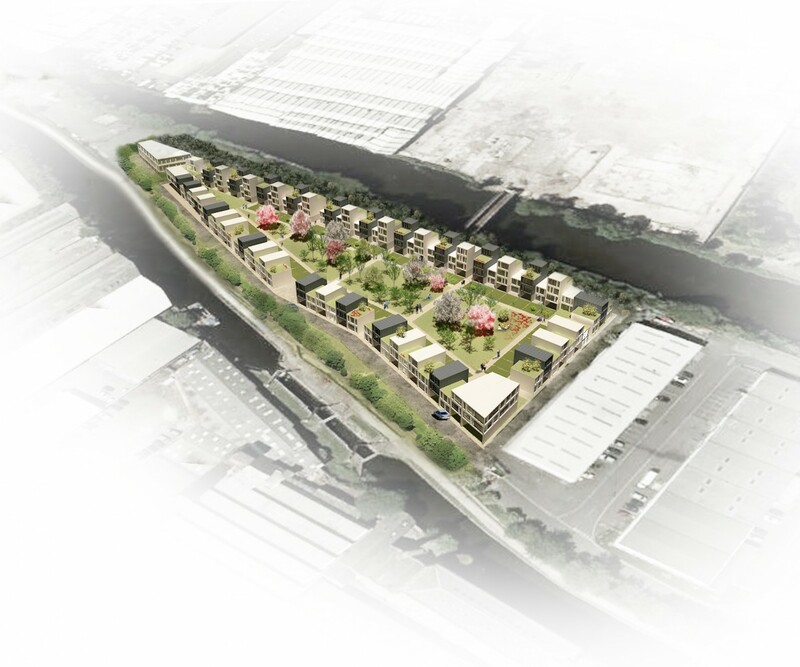 We were asked to produce concept designs for a large residential development situated in Leeds, in UK. 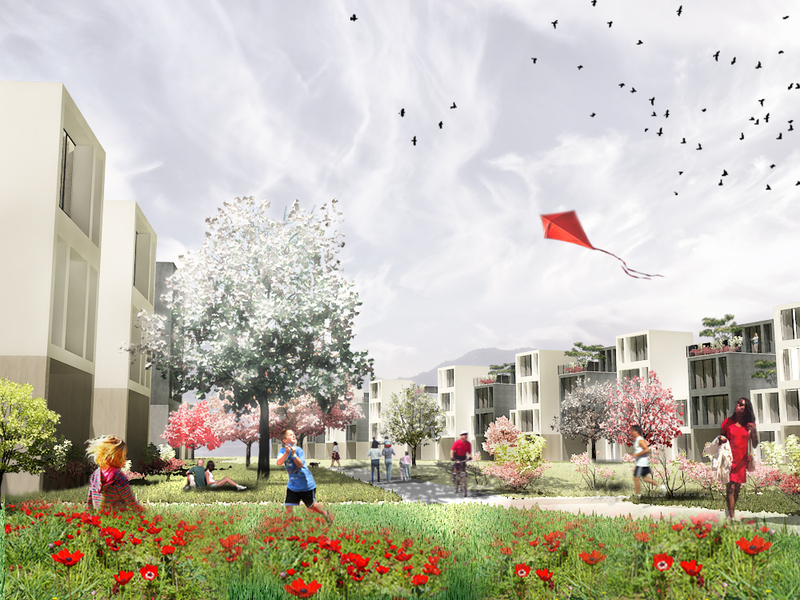 Typical terraced housing as seen historically can lead to some quite unpleasant issues, despite this the typology is one which points towards a communal way of living with a strong sense of community and neighbourhood. 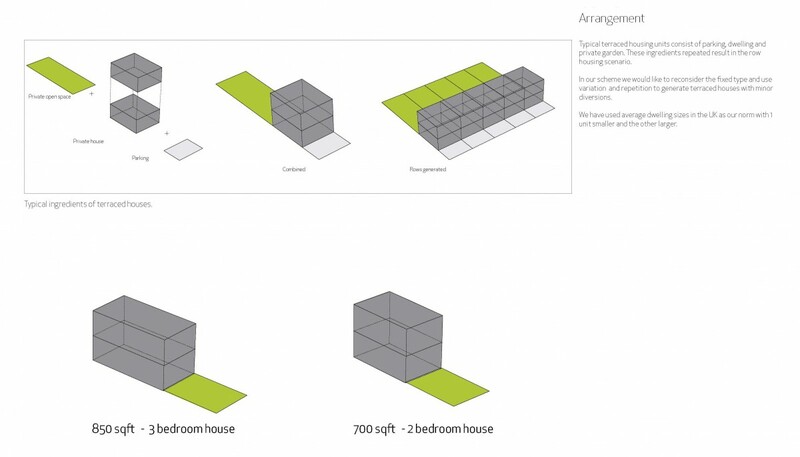 The challenge for us was to understand and taken into consideration the positives from this typology and update and bring them into the 21st century. 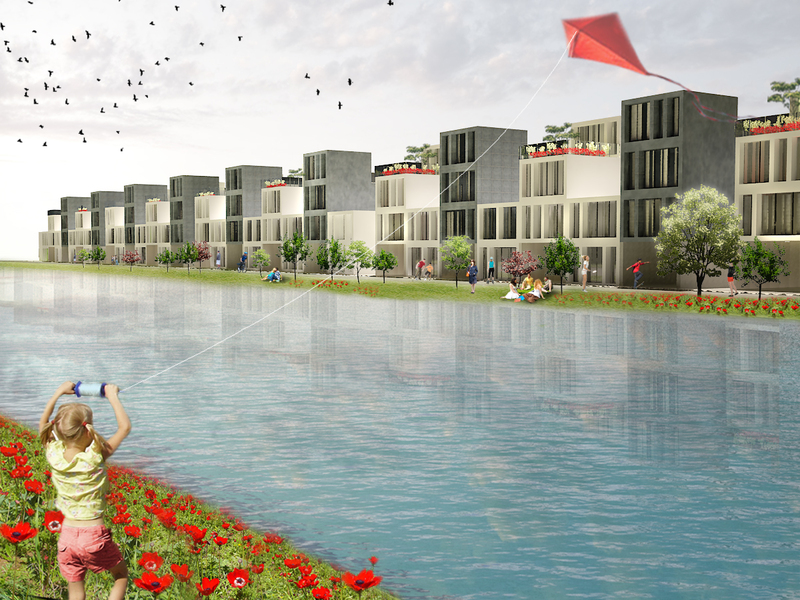 Our mission is to propose terraced housing which meets the criteria of modern day living. 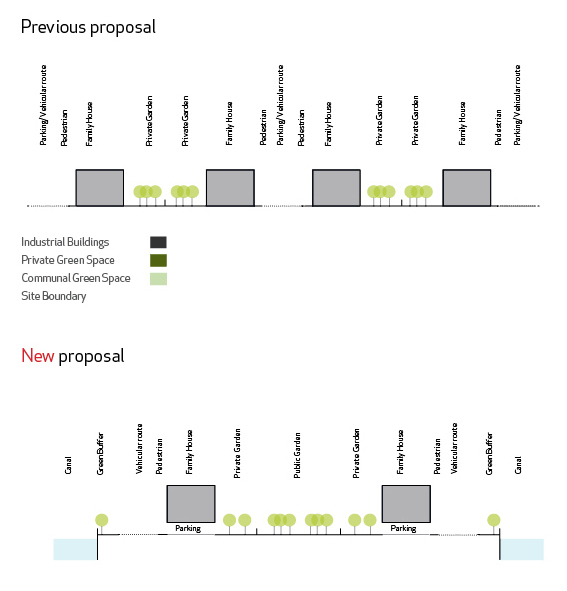 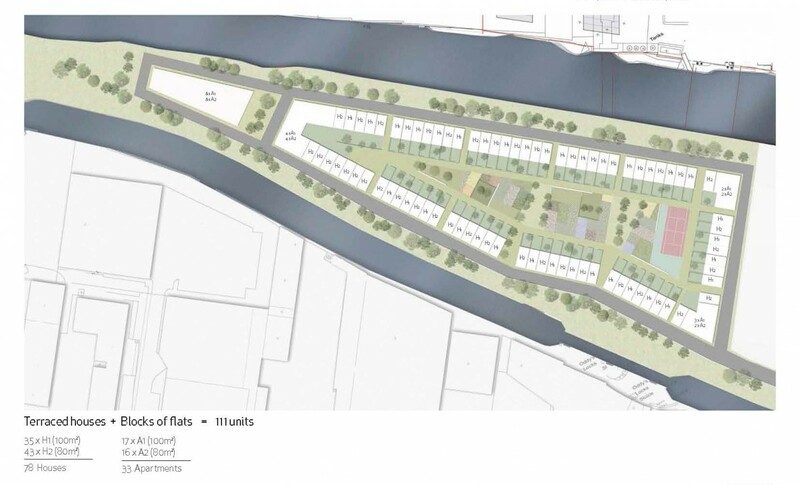 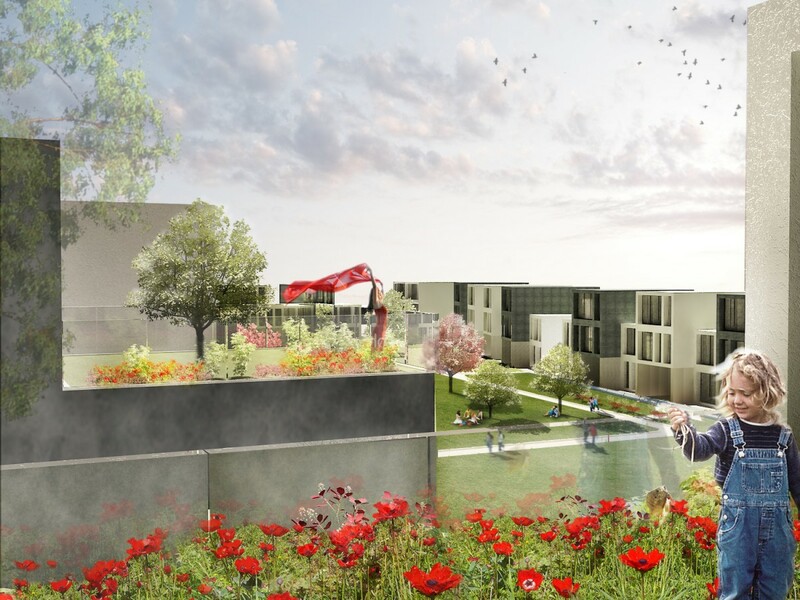 The proposal refers to the context and interesting site surrounded by canals and waterway, this was seen as an opportunity to generate a central hub for the community which would separates them from vehicular routes and create a sanctuary for the entire community to enjoy. 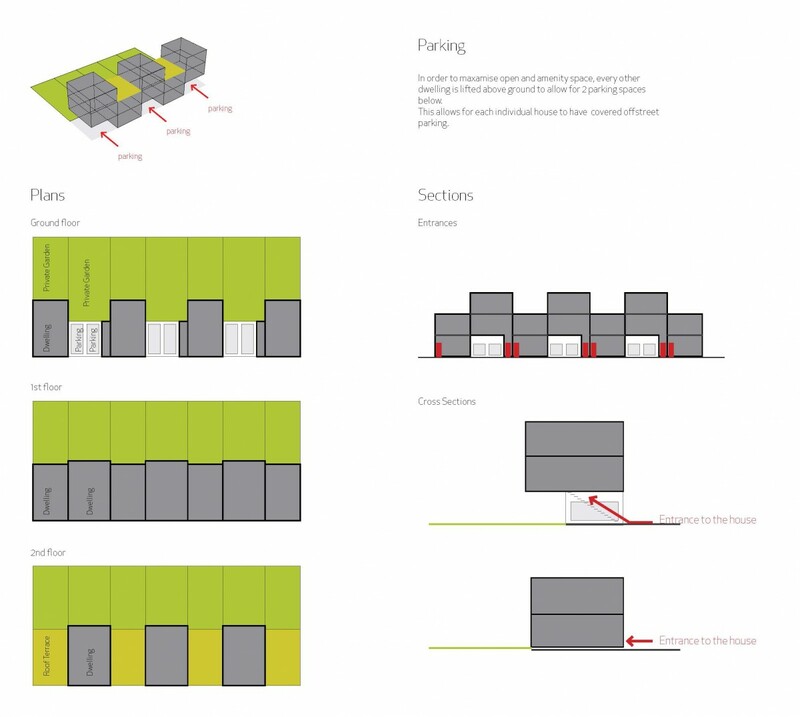 An algorithm and advanced computation were used to assess multiple arrangements of units in order to find the most efficient layout across the site considering aspects such as parking,a amenity and vehicular access.